CRUSH3D Q/A and new pics! Below is a Q/A article on the upcoming CRUSH3D game and some new pictures. Please let us know what you think and is this a game you’re interested in purchasing? Can you explain what Crush is? i.e. what is the design idea behind it? 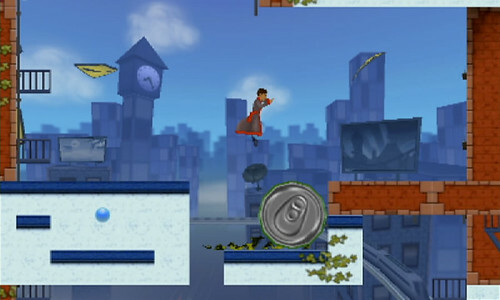 “CRUSH3D focuses on manipulating the environment to solve puzzles. 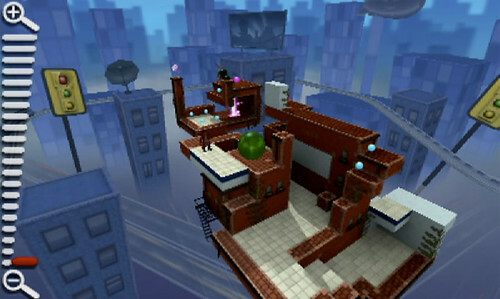 In the game you have the ability to “Crush” the world, which flattens everything from 3D to 2D; you can use this ability to traverse huge gaps by bringing platforms closer together, or flattening the world from above to get to areas that would normally be too high to reach in 3D. Can you explain what we can expect from the story? What are the main differences between Crush3D and Crush? 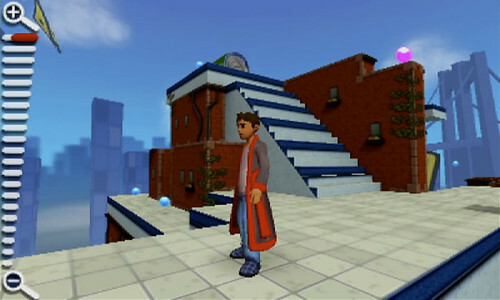 “The main difference between CRUSH3D and the original game is an overhaul of the visual design of the levels. 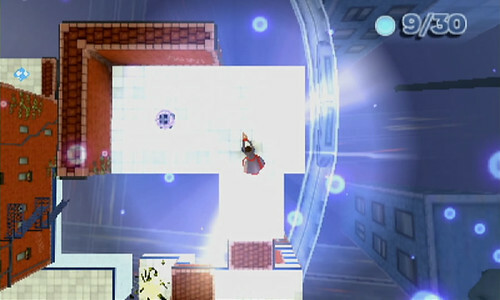 We wanted to make the different block types really stand out from each other, as it wasn’t always clear in Crush which block was solid, which was hollow and so on; in CRUSH3D the block types for each zone are very distinct, which helps immensely with navigation around the levels and working out where you can and can’t crush at any given point. What was the biggest challenge bringing the game to Nintendo 3DS? “Bringing CRUSH3D to the 3DS was such a great opportunity, as the game design is perfect for this console. The biggest challenge was probably working through the 3D settings as although the visuals are very different and the console is so new (which always brings fresh technical challenges) those things are not necessarily specific to the 3DS. Will CRUSH3D use any of the other 3DS functions? “StreetPass is something that we really wanted to take advantage of. 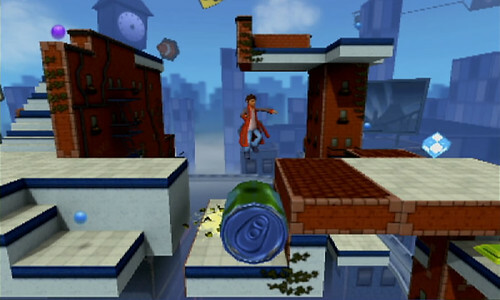 In CRUSH3D you have the ability to place gifts throughout the levels. When you StreetPass with another CRUSH3D 3DS user, your gift will be transferred to their system for them to hunt down and collect; collecting gifts then grants points which can be used to unlock additional content in the game. It’s a great way to essentially design your own puzzles in the game; we’ve seen some really devilishly placed gifts from clever use of the crush mechanic. 3 Responses to CRUSH3D Q/A and new pics!